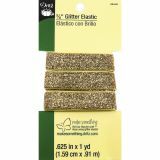 Glitter Elastic 5/8"X1yd - Dritz-Glitter Elastic. Make your own bracelets, decorative bows, headbands and hair ties! Add a touch of sparkle to your favorite activities, such as cheer, gymnastics and dance. Ideal for accenting and DIY sewing and craft projects! 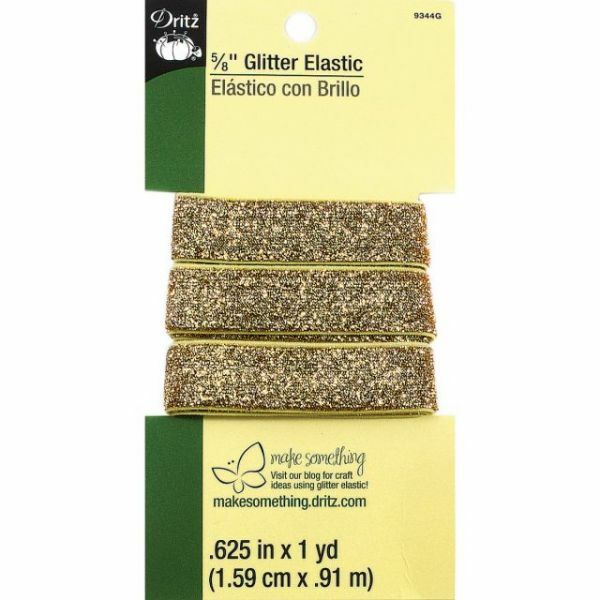 This package contains one yard of 5/8 inch wide elastic with a glittery surface on one side and a smooth matte finish on the reverse side. Hand wash and air dry. Imported.